Professionals like to keep things simple. 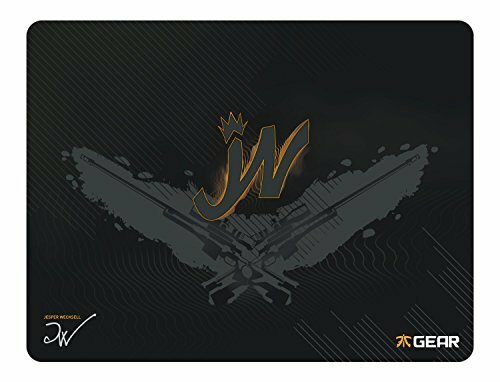 That's why JW uses the Focus G1 mouse pad when competing worldwide. The clean black canvas, textured rubber bottom grip and micro­weave surface engineered so that the weave is all in one uniform direction, all result in a mouse pad that truly deserves its place alongside the pros in the finals of the eSports world championships. Through all of the rigorous and competitive gameplay, the Focus G1 mouse pads ensure comfort, quality and performance that will always be there, ready to win. With the Focus G1 JW Edition, we honor JW, one of the world's best CS:GO players with gear that provides both quality and style. All Fnatic Gear pads have a non-slip rubberized backing to ensure a steady grip on any table.